Changing climate and growing concern over carbon emissions have led to immense focus on the development of Green/Clean technologies. It is well understood that these clean/green technologies posses the key for the future growth and developments. Clean/Green technology includes any energy, water, transportation, manufacturing or production technologies that keep the environment clean by making emissions less toxic, or by reducing waste. Options like Wind, Bio-Fuels, Solar Photo-Voltaic, waste generated power, water waste management etc. are being explored by Indian companies. It is clear that Companies that come up with new sustainable green technologies will be better placed to exploit the market opportunities created by the shift towards efficient technological processes. Indian companies have recognized this phenomenon and are venturing into development of such technologies to tap the huge business potential. With a population of well over one billion, green businesses in India could alter its economy as well as its ecology. Suzlon Energy Ltd is India’s largest and world’s 3rd largest wind power equipment manufacturer. It has more than 12% of global wind turbine market share. The company offers full spectrum of services including the development, manufacturing, marketing, EPC (Engineering, Procurement and Construction), Project delivery and operations and maintenance of wind turbine generators around the world. Suzlon has the first mover advantage in the field of wind energy technology. In a very short span of time, Suzlon has grown from a single product, single market Company to a corporation spanning five continents. Wind power is a close substitute of liquid based power and a greener source of energy. As the liquid fuels becoming costlier, the wind power industry is expected to grow with more than 20% in coming decade. Being one of the world’s largest player and with the strong brand and vast infrastructure & geographical reach, Suzlon Energy is well poised to garner the full advantage of this growth opportunity in coming years. Praj Industries Ltd offers innovative solutions in the field of bio-fuels (bio-ethanol, bio-diesel) and process equipment & systems for customers, worldwide. Praj has been creating innovative technology platforms to make bio-fuels a sustainable and attractive choice for the past 25 years. Praj’s R&D centre, Matrix, has developed several patented technologies. Its cellulose-to-ethanol project is likely to achieve a commercial level of production in coming quarters. Bio-fuels have been acknowledged as proven alternatives to fossil fuels like petrol (gasoline) and diesel for transportation. Also, the future of bio fuel is expected to be robust because of favourable government policies and good demand from Europe and South-East Asian countries. Bio-fuel consumption is expected to increase by almost five times in net ten years. Rising fossil fuels costs and changing environment norms together offer immense future growth opportunities for Praj Industries. Moser Baer is the world’s second largest manufacturer of optical storage media and has also ventured into manufacturing of Photo-voltaic cells, with the primary objective of providing reliable solar power as a competitive non-subsidized source of energy. In the wake of rising demand for solar energy, the company is planning to expand its current capacity from 125 MW to 315 MW by the end of FY2010. It is entering into big overseas solar market like USA and expanding its European business to countries like France, Italy, Bulgaria and Czech Republic and Greece. Solar power is one of the cheapest and greenest sources of renewable energy and said to be the most reliable source of energy in future. Indian solar market is expected to grow by more than 43% CAGR in coming years. The current demand projections translate to a market value of $50-70 billion by 2010, according to certain estimates. Besides that, the demand from Europe — particularly Spain, Italy and Germany — has been very growing rapidly. The growing demand in developing nations such as India and South Korea is expected to drive the market further. Being pioneer in this segment, Moser Baer is well placed to grab these opportunities and is expected to benefit the most from rising demand for solar power. These companies have the potential and capabilities to bring a massive technological shift and to bring economic as well as ecological benefits to the world. They are worth studying closely for investment purpose. If caught at attractive prices, your bank balance may just make you smile wide, in future. 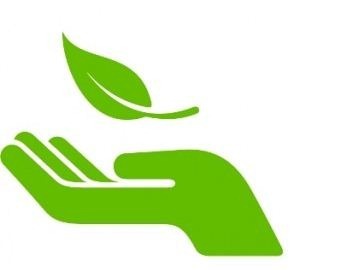 We will explain few more green companies that offer great future growth opportunities in our next post. R.I.P Typewriters – Paying Tributes to End of an Era ! @Rahul: Though, storage is currently not a major problem with wind energy as it is mainly used as captive power plants by big industrial houses for their production which is in any case ‘real-time’; large scale solar power projects are still not feasible due to storage problem. But again, if these options are to emerge as holistic solutions for future energy problems, energy storage problem needs to be addressed effectively. Biofuels development need not necessarily lead to a trade off with food security. For eg. Praj’s ethanol project uses Sugar-cane/Sweet-sorghum molasses which are byproduct of the main products. These companies do have solutions at various stages of development. However, the major issue is storage. Power is usually generated in “real time” so to speak. It is not stored. As load increases – generation increases. Both solar and wind are inherently unpredictable and need strong power storage solutions. So, power can be generated and stored when generated and consumed whenever demand requires. These storage solutions are not upto the mark for large scale projects as yet. With biofuels how does one address the fact that foodgrains and/or arable land is being used to generate fuel? Should energy need compete with food security? almost 70% of the worlds needs are met from hydrocarbons. (oil, gas and coal) Technological innovation will ensure that the “oil age” comes to an end before oil runs out just like coal replaced wood and oil replaced coal and gas is impacting oil use as we speak these days. I’m not a big wig in the world of investing (yet), but all the companies stated above are in various stages of product and technology development. Moreover, the entire concept and industry of alternate fuels is in its nascent stages and the expected growth in years to come can’t be imagined as of today. It would definitely be a wise move to at least evaluate these firms before deciding to invest or even coming to a conclusion of not putting in your money in these scrips. BUT, complete ignorance to these companies might be a case of ‘Penny wise, pound foolish’. @Manish Ahuja: You are correct that these companies’ products are in various stages of development and the expected growths for such companies are hard to predict. But this is also true that if successful these products (eg Praj’ bio fuels) can unlock massive opportunities in future. Close evaluation and monitoring is definitely required before investing in such companies. Well investing in Moser Baer and Suzlon would have set you off all the way crying to the bank if you got in the wrong time. @A Green Investor: Your concerns are absolutely right. Close evaluation of such companies are required before investing in them. Investing at right price is ‘the most important’ thing to ensure a risk free handsome return in future. We are pune based MNRE em-pannelled Solar EPC contractor . we have executed more then 3 MWP of solar roof top project as of now . We mainly focus only on large size industrial and commercial consumer where the tariff is high . We are looking for investor who are interested invest in industries in BOOT .